A litter of picture purr-fect eight-week-old kittens have become an internet hit after their foster parent installed a webcam to capture their adorable antics around the clock. 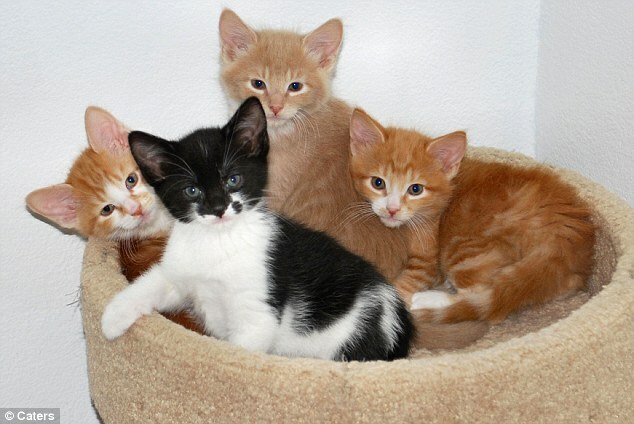 Nicknamed the Spice Kittens, Basil, Mace, Sage and Pepper have attracted more than 18,000 followers on live events website Livestream from their home in America. 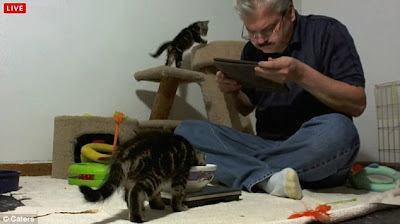 The 24/7 recording of the four internet starlets was launched by foster dad John Bartlett after they were born to to a stray named Rosemary on October 5. At any given time during peak hours, there can be between 4,000 and 7,000 viewers tuning in to see what the fab foursome are up to. The website is so popular it has also spawned a Facebook group called Friends of the Kitten Cam. Among the special moments captured on camera, John has recorded numerous play-fights and a failed attempt to escape. 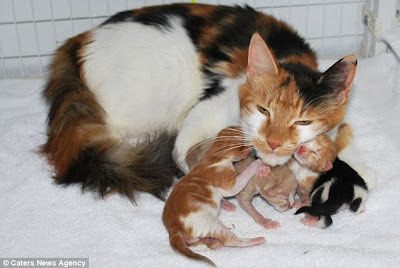 He said: 'Originally, the Kitten Cam was just so that I could keep an eye on the kittens and see how they're behaving without a human in the room.